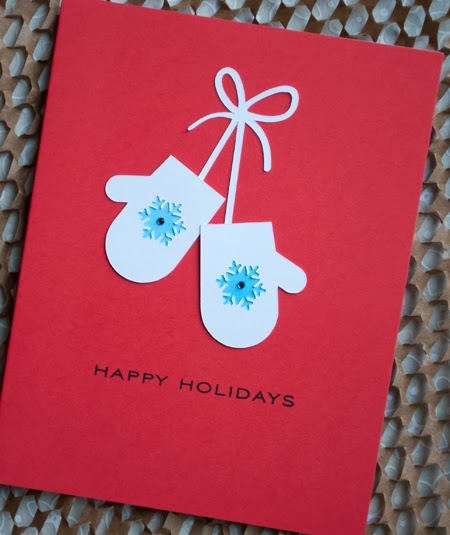 Used the Silhouette to create these cute mitten cards. I made a lot of these, using different color combinations, but am only showing you a few of my favorites. I love the crisp fun look of these cards. 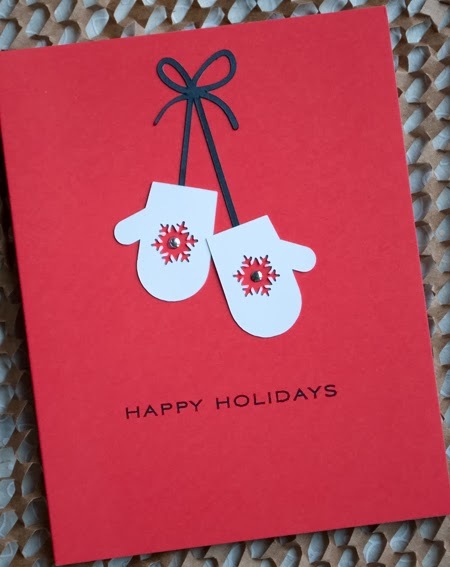 The cards are prefolded Memory Box (white interiors), and the sentiment is from Papertrey Ink's Inside Out Christmas. Joan, you are on a creative roll!! These are so dang cute!! I love 'em! Clean and simple and well-done. what a great CAS design Joan B. 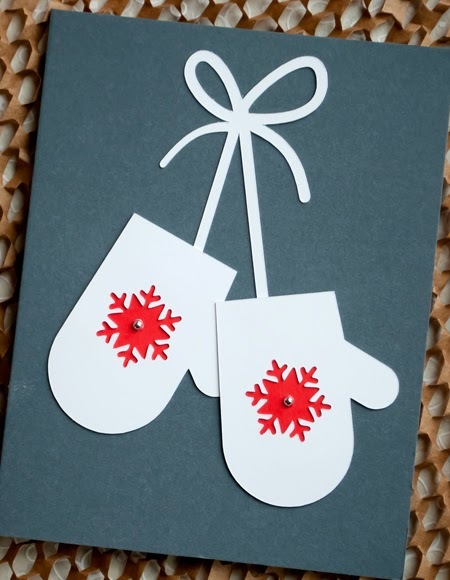 - love the sweet mittens!